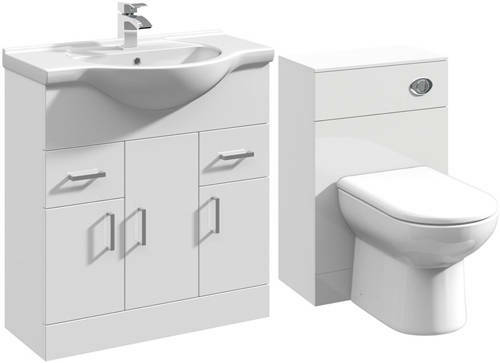 Italia Furniture > 750mm Vanity Unit With Basin Type 1 & 500mm WC Unit (White). 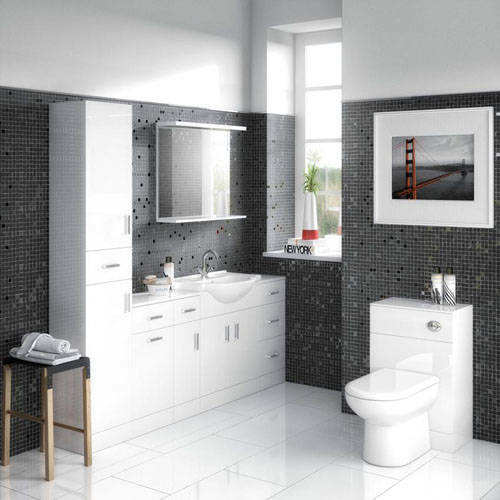 Italia 750mm vanity unit in gloss white finish with ceramic basin (type 1) and 500mm WC unit. Floor standing design with 3 x doors and 2 x drawers (soft close). 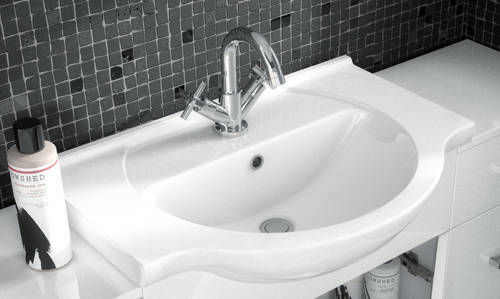 Quality 755mm 1 tap hole ceramic basin top (type 1). 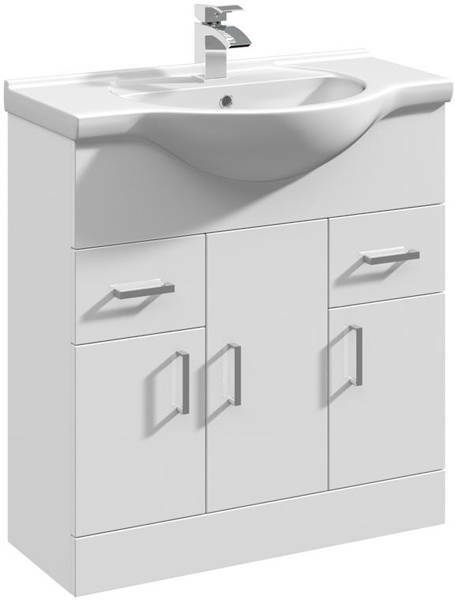 Vanity unit size: 721W x 781H x 330D mm. 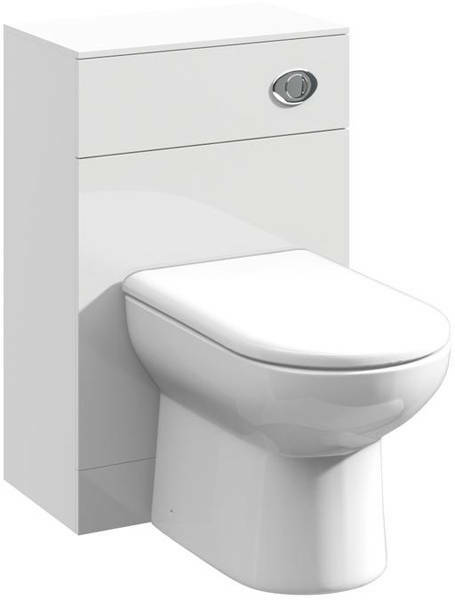 WC unit size: 500W x 766H x 330D mm.